There’s really nothing striking about Albert Hall inside the University of the Philippines-Diliman campus at first glance—its concrete exterior basic and boxy, with walls a standard schoolhouse yellow and front steps painted the kind of red that will eventually dull into a dusty maroon. What will catch any passerby’s attention, though, is the occasional mini excavation site or dig usually found at the side of the building, where members of an archaeological organization called Tuklas Pilipinas Society would simulate what they’d go through during fieldwork. 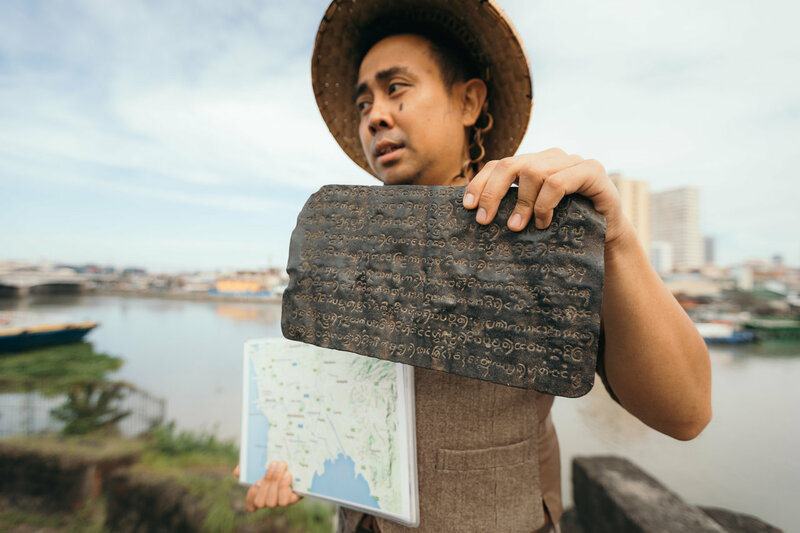 “That’s a good way of checking every now and then if you’ve actually found something,” says Dante Manipon, an archaeologist, knapper, and member of Tuklas Pilipinas Society. 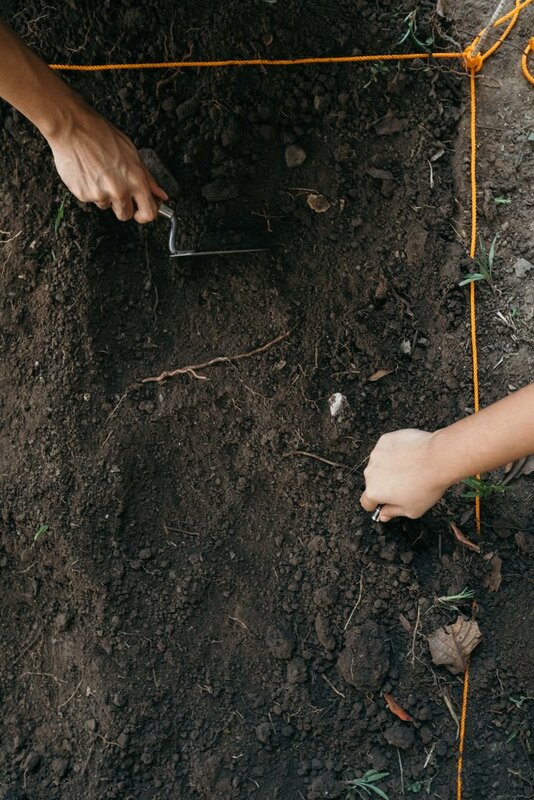 My tap-tap-tapping a seemingly rock-hard chunk of earth with a trowel I try to handle as carefully as I could elicited Manipon’s reaction, encouragement I welcomed when I realized I couldn’t even tell the difference between stone and hardened soil. The dig simulation lasted for about 20 minutes, from which I emerged empty-handed, while my colleagues—also excavation first-timers—had stone tools, shells, and bones to show. Lesson one in archaeology: There are days you can search all you want, but you end up with nothing. And that’s still progress. Yes, that may have sounded like cheesy life advice (but no words have rung truer in a field like archaeology, where days are spent digging through layers upon layers of land) and no, we didn’t shift careers; we were participants in a Sandbox Session—just one of the many activities held by Tuklas, a non-government organization (NGO) established by local archaeologists who’ve been advocating heritage literacy among Filipinos since 2015. “We want Filipinos to be literate in their own heritage in the hopes that they’d use that literacy to be more culturally sensitive. To be more responsible of our pamana,” explains Kate Lim, a member of professional archaeologist guild Katipunan Arkeologist ng Pilipinas, Inc. and president of Tuklas. That’s their “Miss Universe” answer, Lim says in jest, but it’s obvious that the group’s main thrust lies in fortifying national pride through the proliferation of a shared heritage amid the country’s cultural diversity. It may have taken them more than a decade to get their own building (UP’s archaeology program used to be housed in the basement of Palma Hall), but the organization is nowhere near slowing down. “Hopefully, [our efforts] also ingrain a sense of nationalism in people and push them to develop their ‘Filipino-ness,’” Tuklas finance director and zooarchaeologist Bea Ferreras adds. And how exactly do you foster heritage literacy through an archaeological lens while still being stimulating yet simple enough for all ages? Through the wonderful world of alternative learning, of course. By collaborating with educators, Lim and her team of archaeologists designed several modules that would teach through experience. “The moment you get out into the field, that’s when all bulbs light up. We’re a community of people who see the importance of archaeology and cultural heritage in nation-building. There’s no formula, we just know our objective. We want to teach archaeology,” Lim says. In Archeotrails, participants are brought to the exact sites where historical events took place. Here, they tell stories and share knowledge about the history beyond what is found in books. Instead of the usual classroom-lecture format, Tuklas employs more progressive techniques in teaching history, heritage, and the basics of archaeology to anyone willing to learn. They do so through alternative learning methods like mobile lectures called Archeotrails, simulation workshops called Sandbox Sessions, and community linkage through which they readily render assistance, enable partnerships, and conduct public presentations to local government units, private institutions, and other interested groups. Through the Archeotrails, Tuklas facilitators bring audiences right where history happened. At chosen sites, they tell stories and share knowledge that isn’t found in history books so that all five senses are engaged. Archaeology, after all, relies heavily on hands-on work and exploration. Archeotrails follow a tour format, but each activity is hinged on a historical or cultural narrative, which participants flesh out with the help of a module painstakingly developed by Tuklas members. The current Manila Archeotrails, for example, uses Fort Santiago, Casa Manila, and the National Museum as pieces to solving a historical puzzle unanswered to this day: What did Rajah Sulayman’s house look like? Are there no traces of it left for us to find? “The goal is to make people see what we can no longer see now. Mobile lectures have narratives, but the audience plays a role in the storytelling in the form of interpretation and imagination, [which is] always [done] through an archaeological and heritage lens or approach,” explains Taj Vitales, Tuklas program director for Archaeotrails. True enough, the module opens participants’ eyes to elements that we would otherwise miss or ignore. 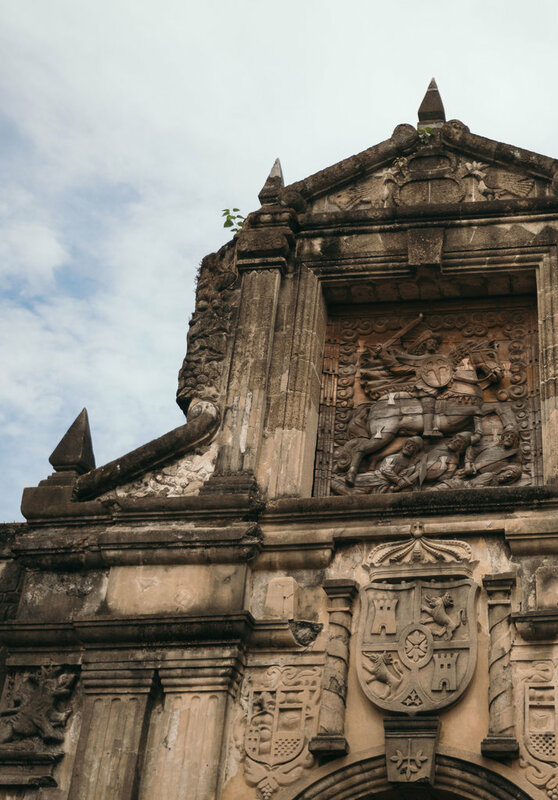 Fort Santiago’s main gateway, for instance, is an amazing display of stone carving techniques employed in the 1700s. At 40 ft., it towers over all who enter, with every inch covered in intricate ornamental carvings. But how many people notice the image of the seemingly indigenous images carved on the adobe surface? Aside from Intramuros, which highlights the Archeology and the City module, other Archeotrails locations are Nayong Pilipino in Pampanga (Paniniwala, Tradisyon, at Paraan module) and Taal, Batangas (Bayan at Bulkan module). Still in the works are Archeotrails dedicated to culinary tradition and Philippine maritime heritage, and an expansion of the Manila Archeotrails to Pasig City. Sandbox Sessions, on the other hand, give participants a peek into the technical aspect of the science. Here, audiences are introduced to archaeology as a specialization by making them carry out tasks that archaeologists regularly perform during fieldwork, like excavating, which has proven to be a hit with preschoolers and grade school students. The group believes in instilling the value of heritage at a young age, when children can still be taught that there is much to explore and dig up, and “that there is also importance in broken things,” as Anna Pineda, Tuklas secretary, explains. 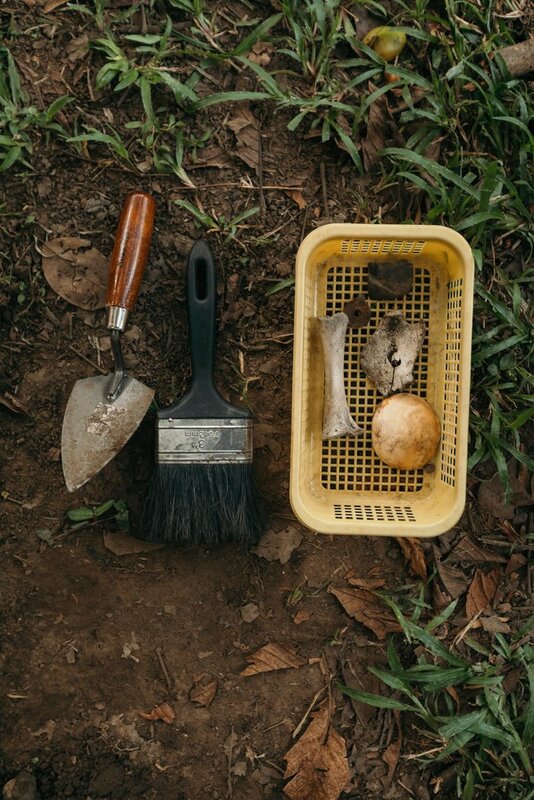 There are many Sandbox Session modules to choose from aside from excavation: field methods, sorting and recording, lithics and tool-making, bone identification, pottery assembly, and other theme-based archaeological lessons. Even adults enjoy the lithics and tool-making module, which may involve having to throw a spear you sharpened yourself with a stone tool made caveman-style. 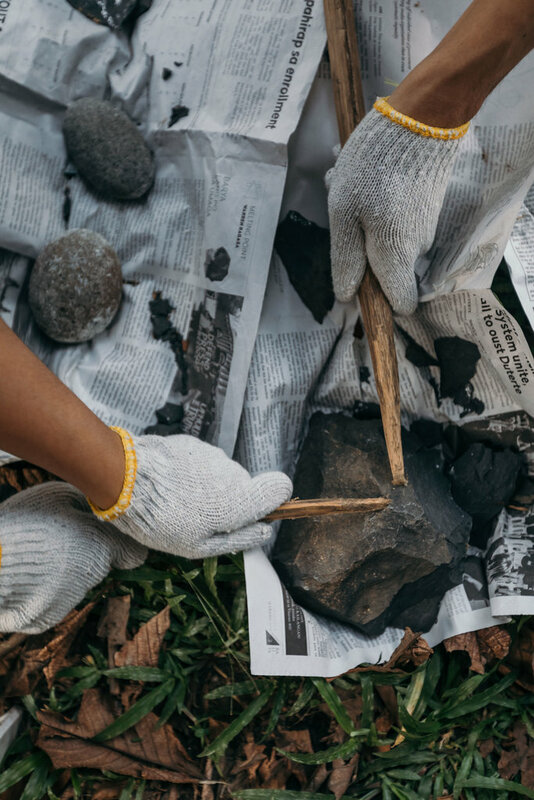 The module is Tuklas’ first foray into experimental archaeology, and so far, it’s been an effective way of making participants reimagine the past. “All our activities are adjustable. We can tailor the modules of the Archeotrails and the Sandbox Sessions according to specific learning objectives in relation to this field,” Lim says. Slowly but surely, Tuklas continues to raise awareness about archaeology and its many applications in the Philippines. The study of artifacts and other material remains of past life and culture is relatively young in the country, but the existence of organizations like Tuklas brings the promise of more active participation in the field, which, in turn, may lead to more collaboration and discipline. “We are often connected to tourism but that’s not our only application. We can also help in planning, in management,” Lim stresses, explaining that other regions have national policies that provide more opportunities for archaeologists and heritage workers. In some countries, for example, one can’t build on land that has not undergone archaeological assessment. Here, though, majority are still in the process of figuring out the importance and relevance of such methods and practices. So for Lim and the rest of Tuklas, the work has only just begun, but they know their purpose and soldier on. “It’s really hard to tell you, that’s why we show it instead. That’s why we let you experience it,” she says. This story was originally published in Northern Living, March 2018. What happens when millennials run a workplace?